Posted on 5th February 2019 at 12:05 pm. One game, Pixel Run, takes young gamers on a four level journey in the company of an avatar called Pixel, an huskey dog in a suit. If he dies on his adventure the player has to answer an internet safety question to have Pixel restored. Pixel is being developed by UAL Level 3 creative media, technology and production students including project leader Mitchell Woodward, 23, of Darlington, lead programmer Joshua Hutchinson, 18, of Bishop Auckland and art leader Ayla Wilkinson, 23, of Darlington (above). 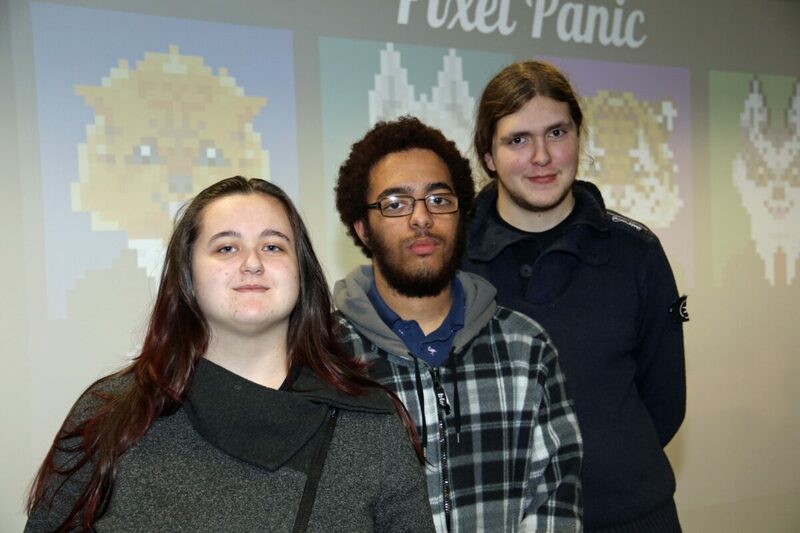 Proctor, 25, of Butterknowle, Amber Stevenson, 18, of Tunstall and Ethan Craggs, 17, of Darlington (right), are developing another game called Pixel Panic.